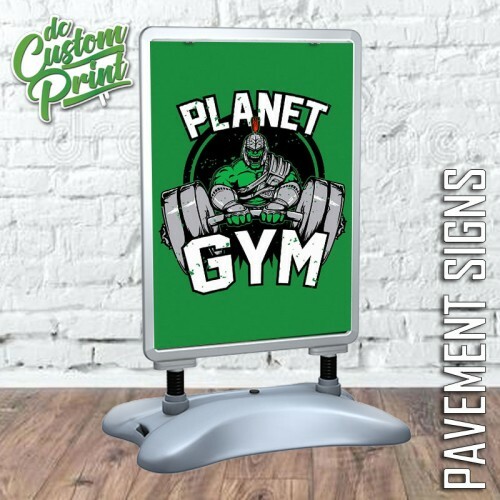 The Windmaster is ideal for pavement advertising and retail promotions! The Windmaster is a cost-saving stylish product that is suitable for large format double-sided display solutions. Easy to open snap frame which allows quick poster change includes the anti-reflex cover. Supplied with a plastic base to fill with water or sand for stability. The steel springs enable minor panel movement to further aid longevity. Rounded styling and low centre of gravity for added safety. Assembled in seconds no tools required. Ideal for outdoor use. This product is covered by our Manufacturers Guarantee against component failure and defects for 1 year.